Gobbledygeek episode 90, “Once Upon a Time…in Nazi-Occupied France,” is available for listening or download right here. Atten-SHUN! It’s the last week of Tarantino Month, so that means one thing, and one thing only: we’re here to discuss Inglourious Basterds, Tarantino’s charmingly misspelled WWII epic. 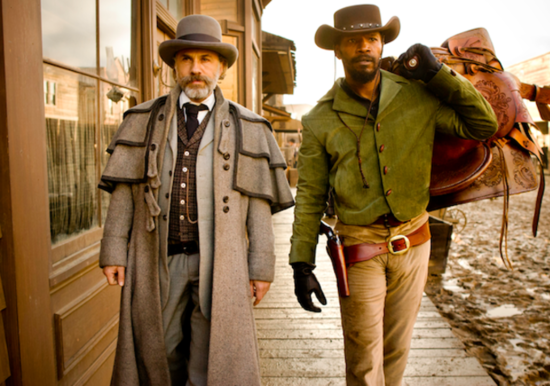 Points of interest for the boys include Brad Pitt’s ridiculous accent, the puzzling nature of Christoph Waltz as Hans Landa, the film’s Spaghetti Western stylings, the greatness of Mélanie Laurent, and what Tarantino has to say about the power of cinema. Plus, AJ recounts his Lez Zeppelin experience and Paul has a few extra thoughts about The Hunger Games. Next: The Geek Challenge returns when AJ challenges Paul to Donnie Darko, and Paul retorts with Real Genius. For the sake of brevity (and note that our definition of “brevity” is still, like, two-and-a-half hours), we have excised this segment from the show proper, but you can expect weekly updates on what’s new on DVD and Blu-ray. We will by no means cover all releases, not even all major releases. However, we can promise to alert you to releases that pique our interest. For a more complete listing of new releases, you can always scope out Video ETA; we do. I reviewed this in “Wow,” giving it . 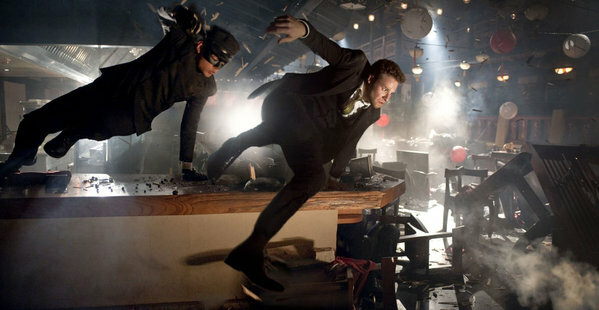 Basically, an uneven satire of supehero tropes with a visual style that’s ordinary by Michel Gondry standards, but still pretty interesting for a superhero movie. 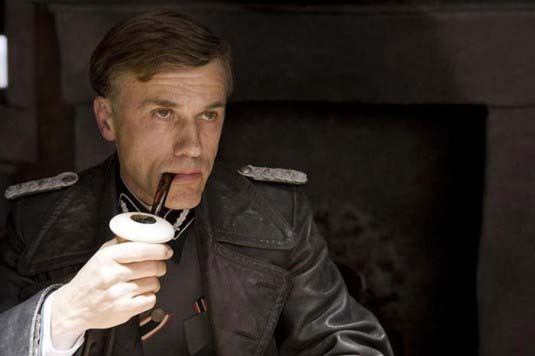 Also, an hilarious villain in the form of Inglourious Basterds‘ terrific Christoph Waltz. He bested the greatest swordsman, overpowered a giant, and outwitted a brilliant strategist. And then he got to be the one true love, thought lost at sea, now returned to his princess. What makes Landa so terrifying is that he seems entirely bereft of a sense of morality; he manipulates himself into a position of power with whatever group seems to be on the winning side, caring little for past alliances or relationships.